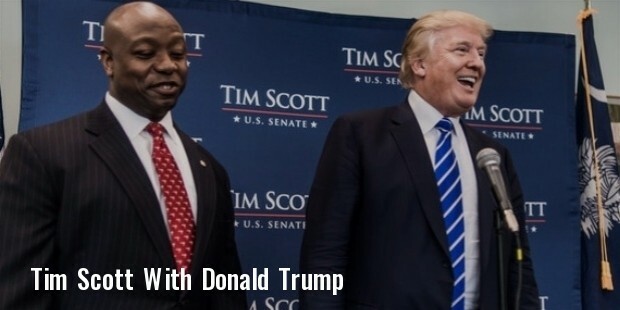 Tim Scott is the junior US State Senator for South Carolina. He played a vital role to provide good quality education to the students. 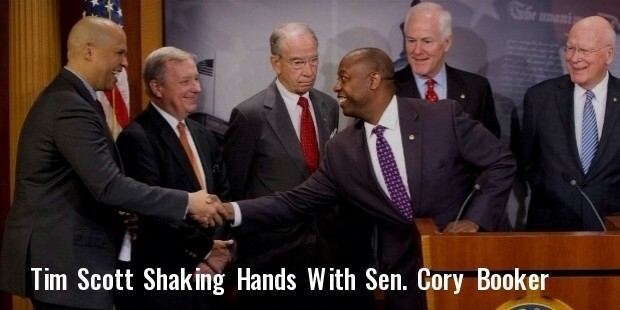 He owns a Tim Scott Allstate Insurance Company. Tim was the first African American to get elected into the U.S. House of Representatives of South Carolina. He was ranked 34th in the most wealthy senators of the U.S. in the year 2012. Scott was born on September 19, 1965 in North Charleston, South Carolina to Ben Sr and Frances Scott. Scott was brought up by his mother after his parents divorced. His mother was a nursing assistant. Tim graduated in Political Science from the Charleston Southern University. Tim was is a financial advisor. 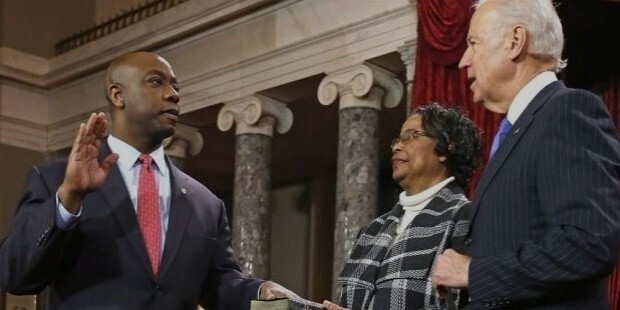 In January 2013, Scott was sworn in as a senator in the U.S. He served in the U.S. House of Representatives during 2011 and 2013. He was a member of the influential body, House Rules Committee for two years. He was the Chairman of Freshman Caucus/ House Whip for two years in the House of Representatives - South Carolina. Tim was instrumental in introducing tax reforms to provide more economic freedom. He aimed at providing good quality education to every American. Tim intended to provide alternative work arrangement for 40 hours a week for single parents. Scott is currently working to reduce the energy costs and save after tax income. He is working on cost cutting measures across the U.S. As a senator in office, for the first 100 days, he and his colleagues helped to introduce balanced budget amendment. 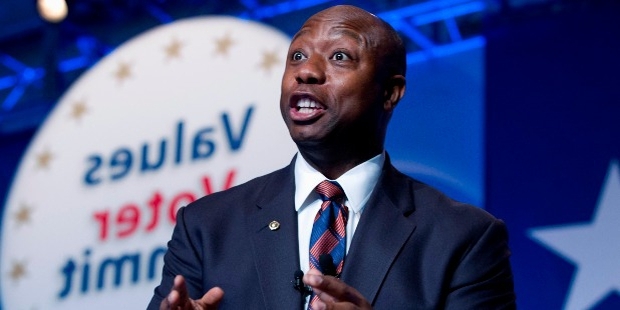 Tim Scott is unmarried. He is an evangelical Christian.